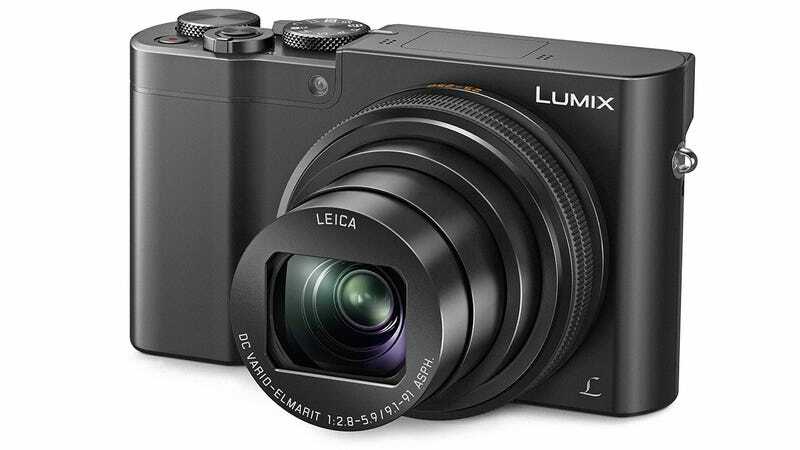 Instead of forcing your family to endure a grueling slideshow of your vacation photos, Panasonic wants you to treat them to stunning 4K videos of your hotel room, random meals, and various takeoffs with its new Lumix DMC-Zs100—a compact shooter with a hefty one-inch sensor. Available starting in March with a black or silver housing for $700, the Lumix DMC-Zs100 packs an impressive zoom lens by amateur photographer standards, offering a 35mm equivalent zoom range of 25 to 250 millimeters. On the video side, the DMC-ZS100 adds 4K (3840x2160 pixels) recording capabilities at 24 or 30 frames per second. But if you prefer the more lifelike look of 60 frames per second, you’ll have to step down the video quality. And for those afraid of missing the moment, you can record a scene in 4K video and extract eight-megapixel stills from individual frames. The DMC-ZS100 is also the first camera in the Lumix ZS range to get Panasonic’s Post-Focus feature. It’s not quite as technologically remarkable as the Lytro cameras, but by capturing 49 areas of every image in focus, users can adjust what part of the image they’d like to be sharp, and which they’d prefer to be out of focus, using the camera’s three-inch touchscreen. It’s not quite 100 percent idiot-proof, but it’s ideal for amateur photographers hoping to up their game, or at least guarantee their vacation shots are all properly in focus.